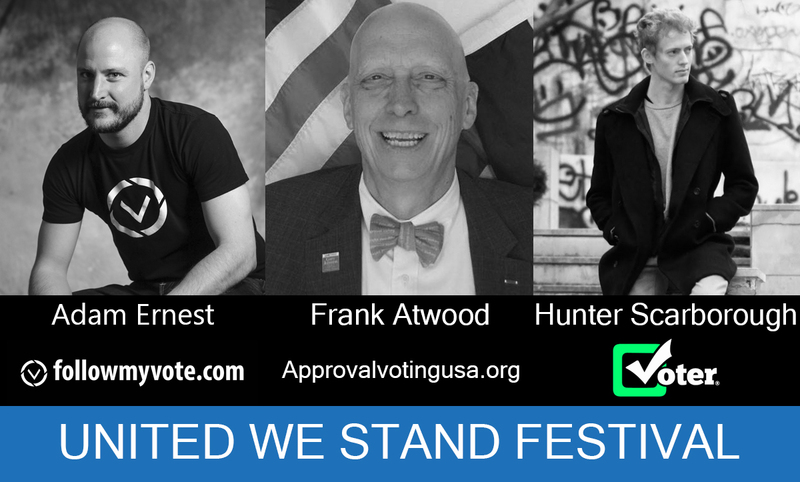 Follow My Vote will be sponsoring the United We Stand Festival and Open Presidential Debate at the University of Colorado Boulder on Tuesday October 25th. In addition to the debate, there will be speakers and performances by more than 10 different bands and artists. Tickets are free to public and students get priority. More info here. The festival is put on by the the Free and Equal Election Foundation. Free and Equal’s mission is to broaden electoral choices through education and direct positive action. They are a non-profit, non-partisan organization that works to give all ballot-qualified candidates the opportunity to debate important political issues in public forums. Free and Equal continues to help level the political playing field and to inspire more independents and alternative party candidates to run for office. They strive to empower and encourage more people, especially young people, to get involved in the discussion, participate in the political process and hold their government accountable. Free and Equal believes that “more voices, more choices” will help shift the political power back to the people, away from the control of a few corporations and political elites, creating a more balanced system where all are free and equal in their ability to participate. The grandson of the famous Noble Peace Prize winner Nelson Mandela. Kweku continues the work of his grandfather in Africa by empowering the country’s youth. Kweku Mandela will present the “Mandela” award in honor of Civil Rights Activist Amelia Boynton-Robinson. The Flobots, known for their hit “Handlebars“. 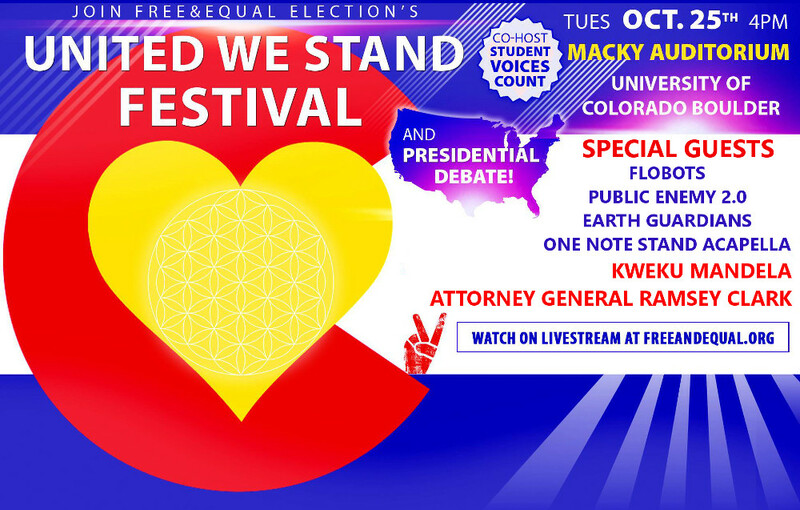 The “One Note Stand Acapella” at University of Colorado, Boulder will perform The National Anthem prior to Presidential Debate.